There are no secrets in martial arts, only undiscovered truths. How many times have I said this? A lot. If you asked someone like Master Shaffer I’m sure she would offer one of her witty answers, because I usually get a “seriously? again?” look from her whenever I utter that sentence. Back in the late 80’s and early 90’s I use to travel up to Toronto, Canada at least 3 times a month, sometimes more, to take Kali Classes. It takes 3 hours to drive from Rochester to Toronto and sometimes, depending on the border crossing, a lot longer. 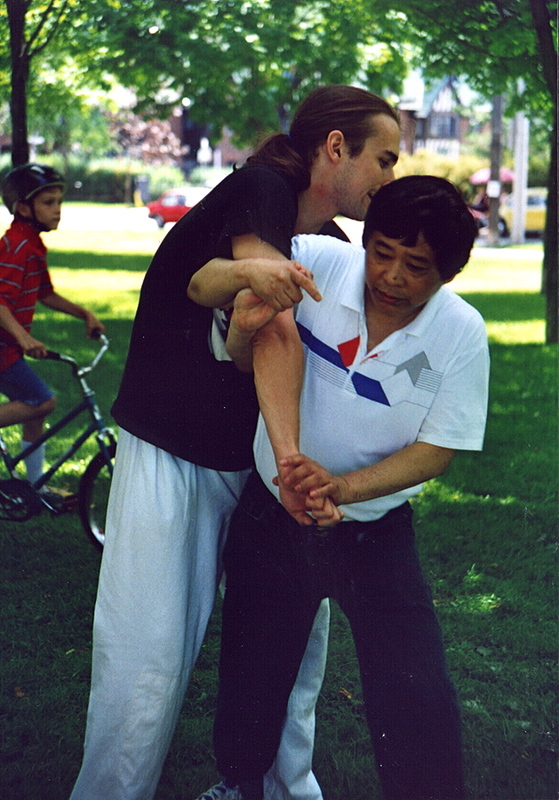 When I would finally arrive at the Karate School, in Chinatown, that the classes were offered in, my Kali instructor Grandmaster Nonoy Gallano would always introduce me to the class. I was always at a loss as to why he did this. True, I didn’t attend class every week but I was in class a few times a month. It should also be noted that classes lasted an entire day, not just an hour or two. In other words, I knew all the regular students and they knew me. After the introduction, he would inevitably tell me to run down the street and get him a coffee. So, after sitting in a car for 3 hours, I was running (I walked once and paid for it. I guess cold coffee is no good) 3 blocks to get a HOT coffee. After the second or third time I fetched HOT coffee, I jokingly said to Grandmaster Gallano, “You owe me a secret technique for this.”. After a month or so, even he would joke and offer “secret technique credit” for various thing he wanted or chores he wanted me to do for him. Needless to say, he was in debt within a very short period of time. Side Note: As far as I was concerned, this was just a joke and I would have done everything he had asked with an open heart and without complaint of injustice. I never intended to collect the “secrets”. One day, I was at Grandmaster Gallano’s apartment for a private lesson and he was hungry. He wanted McDonalds (his favorite fast food restaurant was Popeyes but alas there wasn’t one nearby), so off we went across the street. After I brought him his food and we sat down, I reminded him of how many “secret techniques” he owed me (it was over 50 at that point). I thought if I was lucky, it would start a convention that I would frantically add to one of my journals that evening. Or at least, it would generate a strike that I would diligently observe in order to glean some new aspect of how to hit someone across a table. Instead, he said, “Get a knife.” To which my reply was, “here?”. If I remember correctly, I gleaned something new about backhand strike then. Off I went, and returned with a plastic knife. Upon my return, he stood up and told me to attack him. Remember, this was in the middle of a very large and very crowded McDonalds. I attacked, there was a massive blur and then he stopped once my knife holding wrist was firmly held in one of his hands. He then said something along the lines of, “after I show you this, we are even”. He then took his free hand and slowly pressed on the back of my hand that was holding the knife. As my wrist bent, my fingers opened and my grip on the knife was loosened. He then straightened my wrist, my fingers closed, and he sat down and started eating. There I stood, everyone looking at me holding a knife, just having attacked a very unassuming short older man, with a look of utter astonishment on my face. I know, “everyone knows that when the wrist is bent, the fingers open” but I had never thought about it in that light before. No, there was nothing revolutionary about the actual physical technique, but the concept for me took on a profound new meaning. “When you are ready to learn, the lesson will present itself.” From that day on, my ability to disarm a knife holding opponent has never been the same. I “saw the light” and I’ve never been the same. This was a secret that was right in front of my face, that took a plastic knife and a trip to McDonalds for me to discover. The point is, I never thought about looking for some “secret” in something as simple as bending the wrist. There are secrets all around us. NEVER STOP LOOKING FOR THEM EVEN IN PLACES THAT YOU DON’T THINK THEY EXIST, because that tends to be where they hide. you’re still far from the truth. Previous PostWhat do you shoot for?